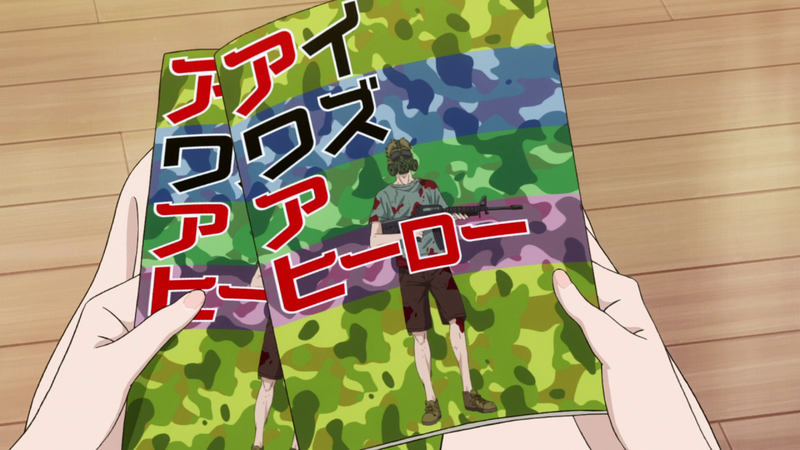 The fourth episode of After the Rain ends with two movie pamphlets. They’re both from the same movie. 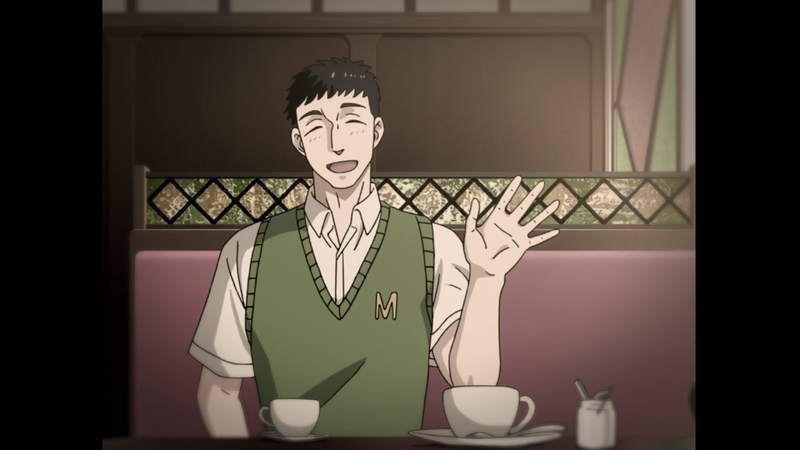 They’re also from two different circumstances to Akira Tachibana. The first time, her attendance was coerced. The second time, it was freely given. Yet she cannot tell the pamphlets apart. She laments that they’re “Definitely not the same” but with her personal context removed, they’re identical. 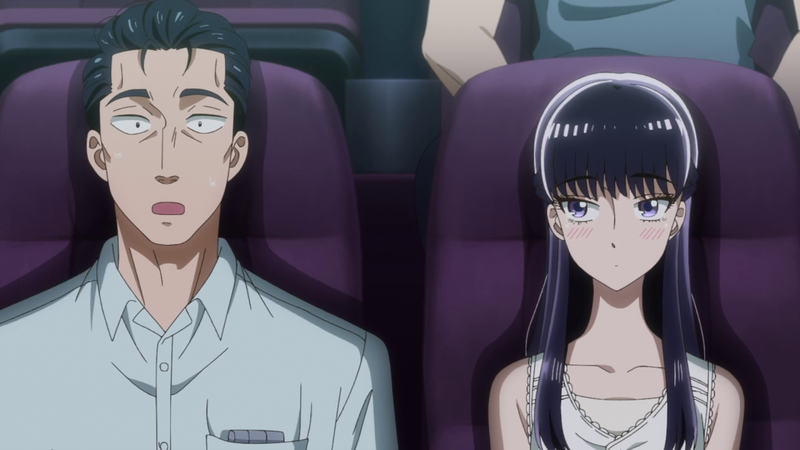 Akira goes on two dates in Episode 4: one with coworker Ryosuke Kase and a second with her manager, and object of her affection, Masami Kondo. We are never privy to Tachibana’s thoughts, yet After the Rain speaks volumes about her emotional state through music cues and cinematography. Arguably, they say more than she herself would, were we privy to her thoughts, because she isn’t honest with herself and how her professed romantic feelings for her 45 year-old manager are intrinsically tied to her post-injury depression. 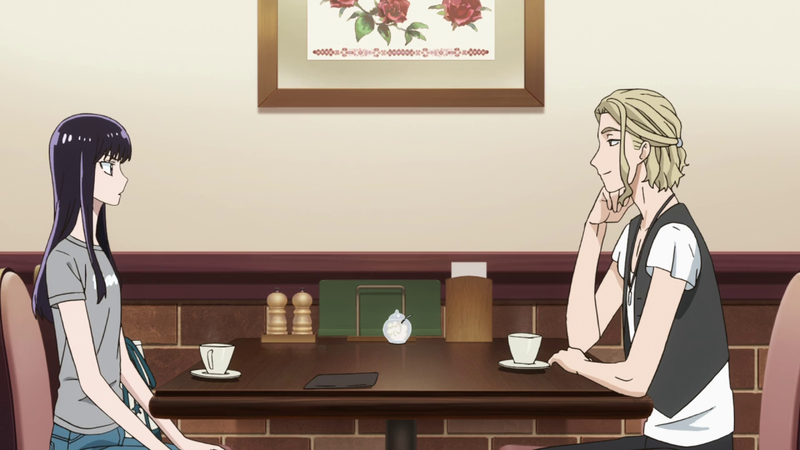 Both dates have the same meeting place, zombie movie, and tea shop. They each end with a phone call and one person leaving a situation that makes them awkward. After the Rain presents these dates side-by-side, shot-for-shot, and leave the takeaways from the comparison up to us, the audience. 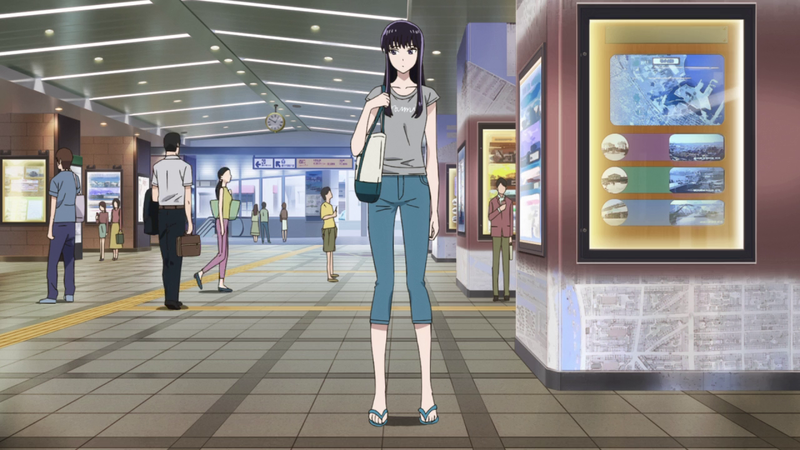 There are the more obvious cues, like Akira’s outfit and demeanor. 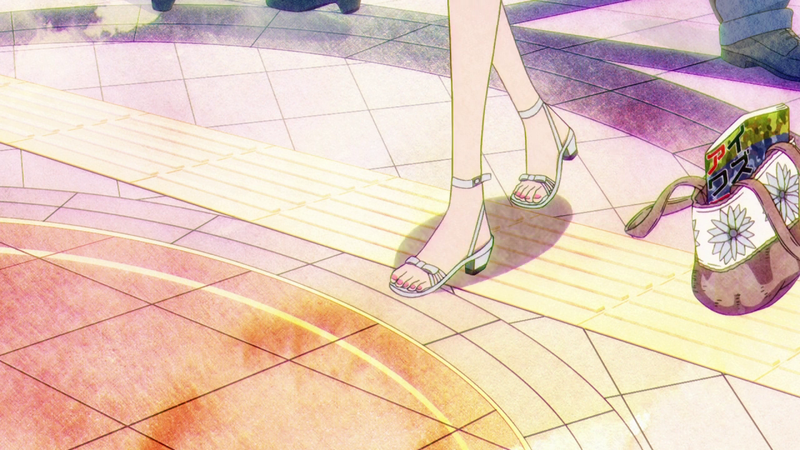 She wears a sundress, matching open-toed sandals, and tries out a new hairstyle for Kondo. With Kase, she makes a point to change out of her school uniform into jeans, a t-shirt, and flip flops. She slouches, visibly pulling away from Kase, and her eyes are always turned away from him. 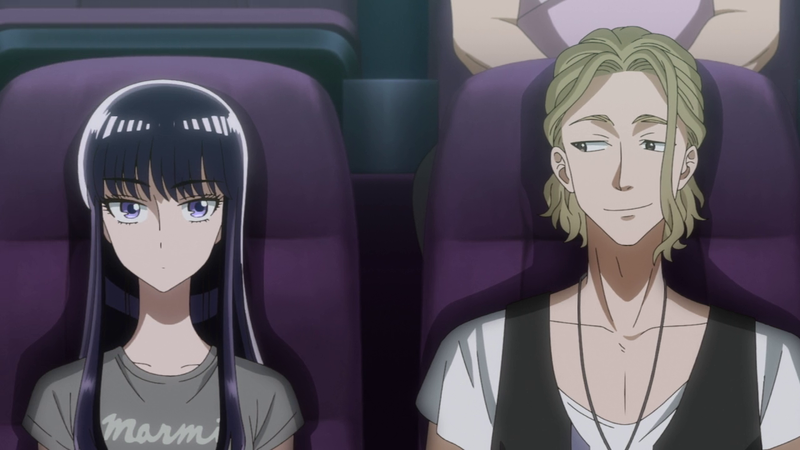 With Kondo, she leans towards him and is always watching. 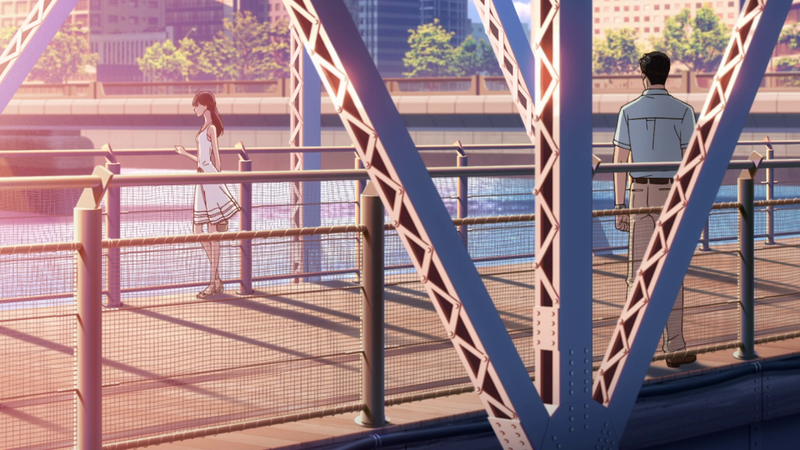 The color palette is noticeably brighter during Akira’s date with Kondo, a reflection of the weather outside which also ties into the mood of each date. 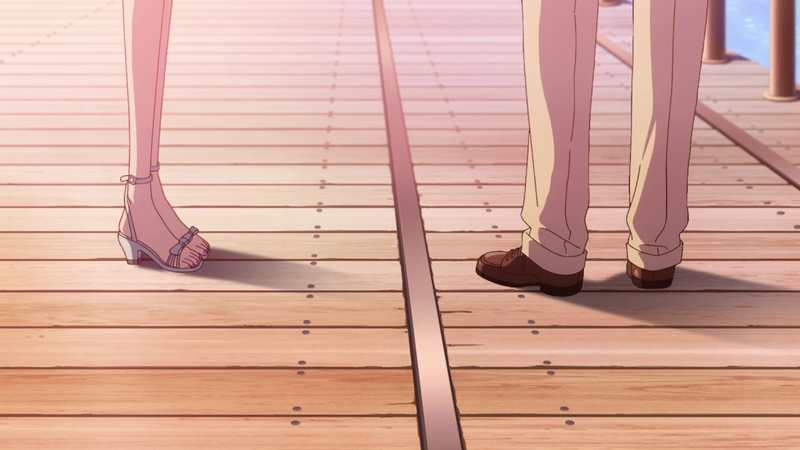 While using paneling during both train station meetings, After the Rain pays close attention to who reaches out first, or breaks their plane — in the first date it’s Kase asking her if she went home to get changed, and in the second it’s Akira nervously touching her new hairstyle. 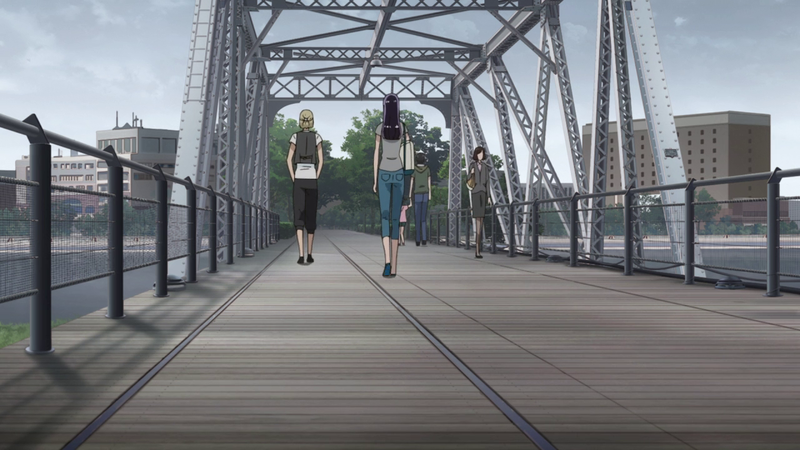 When it comes time to walk to the movie, Kase and Akira are treated to a long, awkward walk across a bridge. 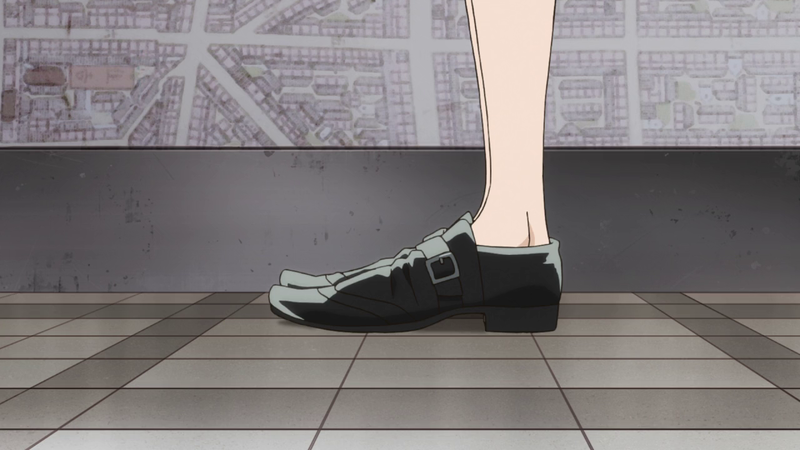 Kase’s feet are shown, sharply turning to walk, but Akira’s do not follow. 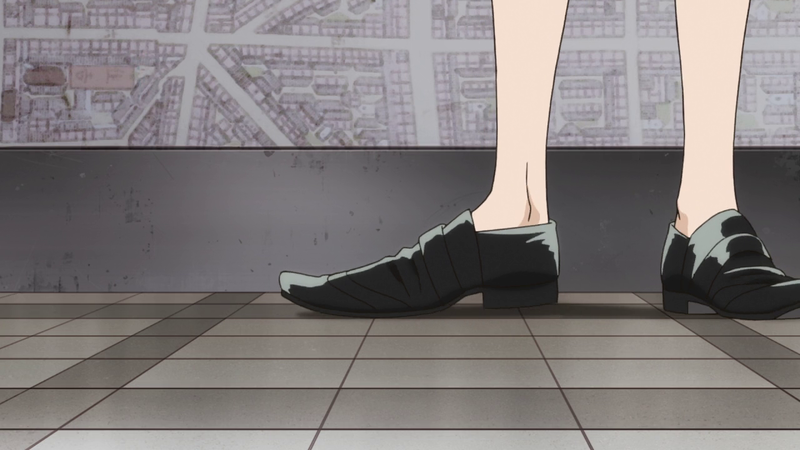 Kondo’s feet are similarly shown, but Akira’s foot immediately steps into the same space after Kondo. 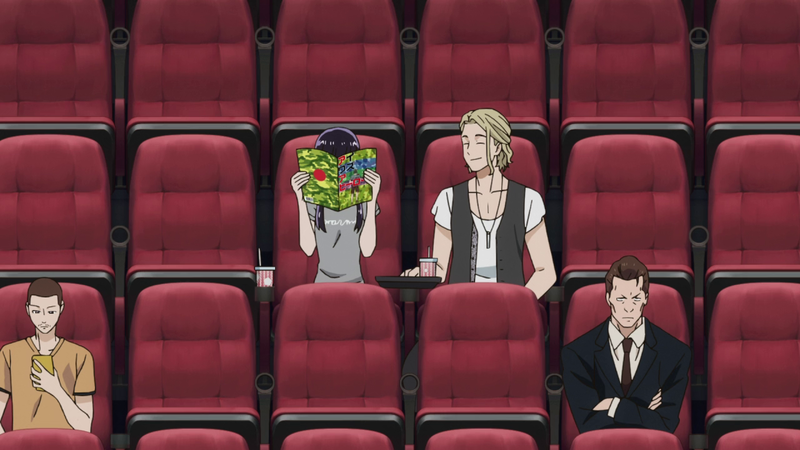 It then cuts directly to the movie. 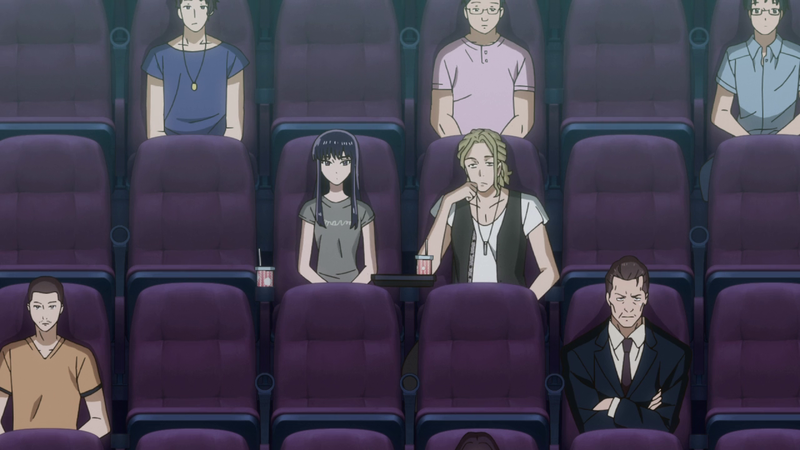 From Akira’s date with Kase to Akira’s date with Kondo, the seating arrangements are visually reversed. The person more uncomfortable with the situation is placed to left (from our perspective) while the person who proposed the date is on the right. 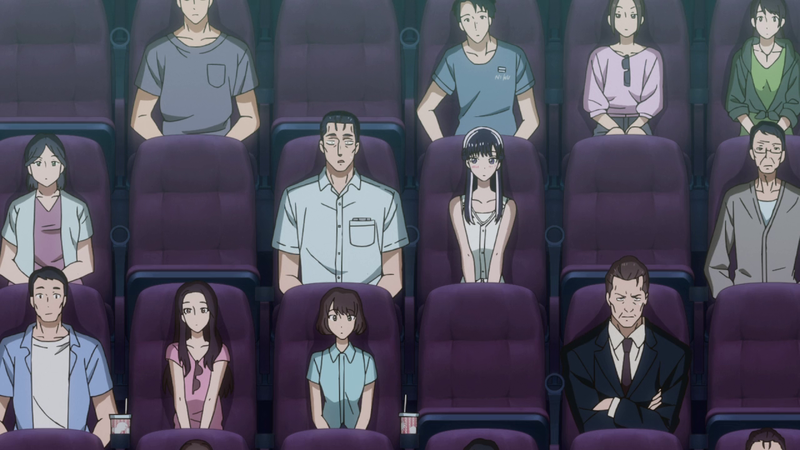 There are other visual cues, like the location of the movie theater seat armrest or Kondo’s flashbacks in 4:3 aspect ratio, that inform us of each person’s perspective. 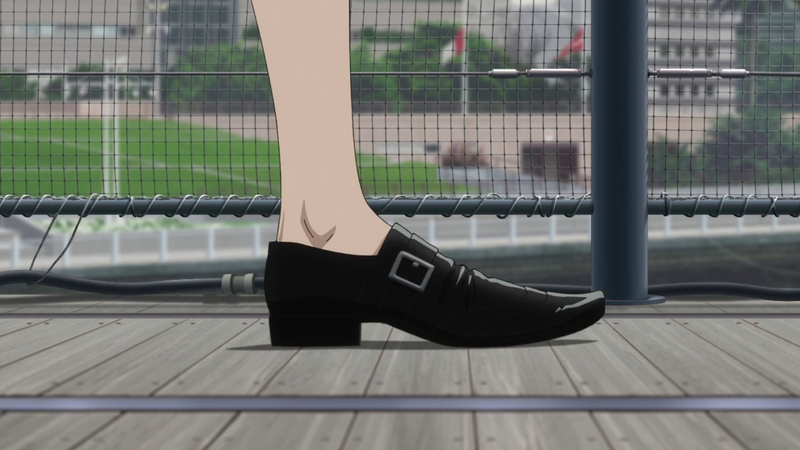 An obvious goal of this visual presentation is to show us how different these dates are to Akira. 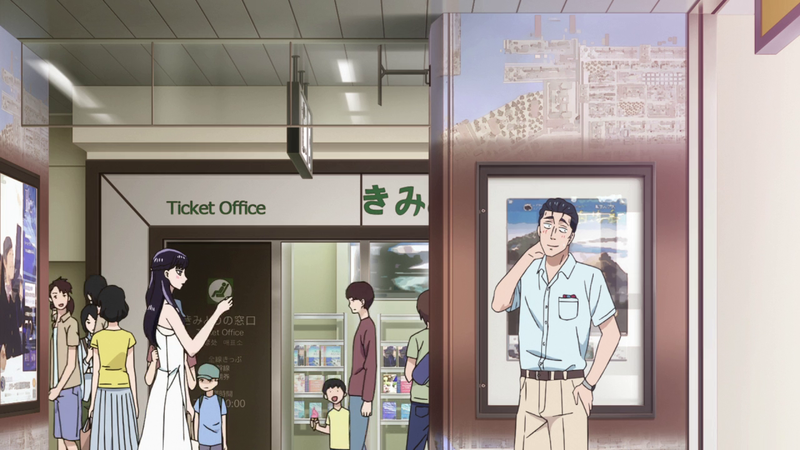 Yet, I’d argue that the primary goal of After the Rain‘s cinematography is to show us how similar they are, like the movie pamphlets that Akira agonizes over at the end of the episode. 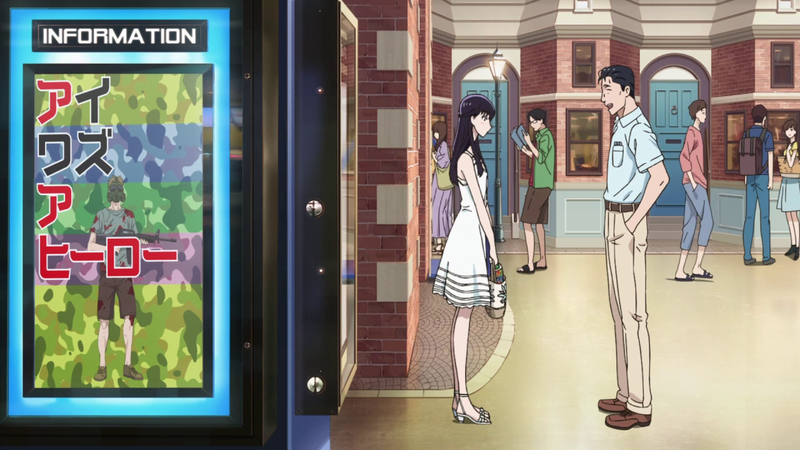 Throughout Episode 4, whether Akira is with Kase or Kondo, lines are visibly drawn between her and whoever is around her. 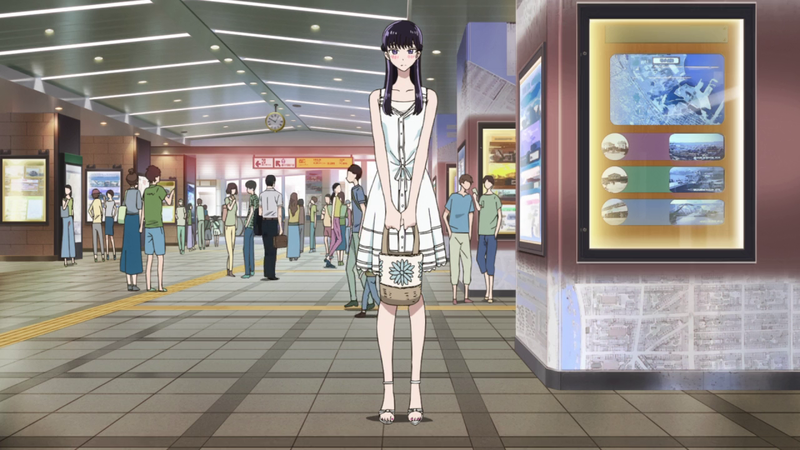 After the Rain uses natural paneling at the beginning of both dates, where Akira is placed in a completely different space than her date, who is up against a wall in the train station. 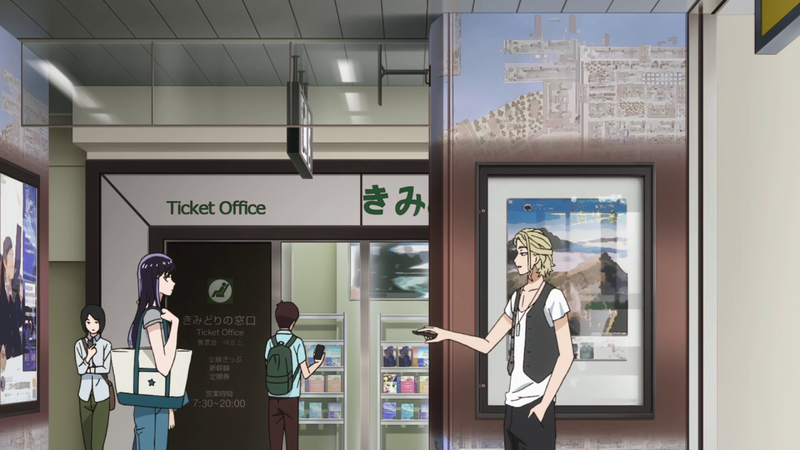 Above, we see Akira placed in front of a different door than both men. 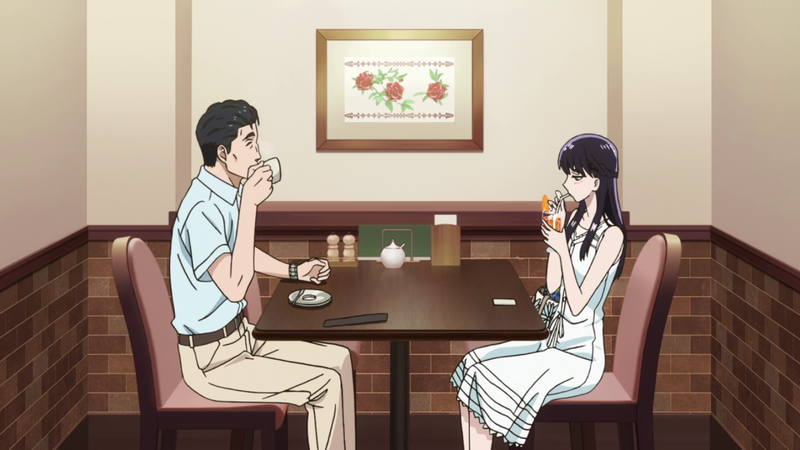 Despite the fact that myriad visual cues have shown her discomfort (with Kase) or eagerness (with Kondo), the end result is the same: After the Rain visually separates her from both of them. 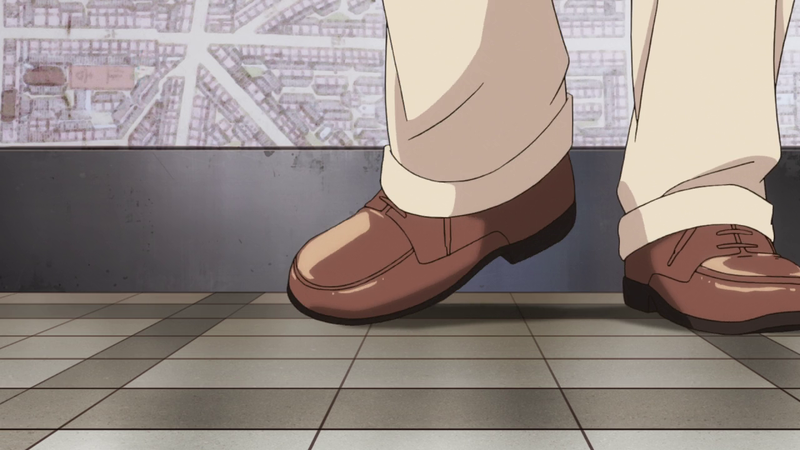 The series additionally focuses on foot placement, using scenery and focus to again isolate Akira. 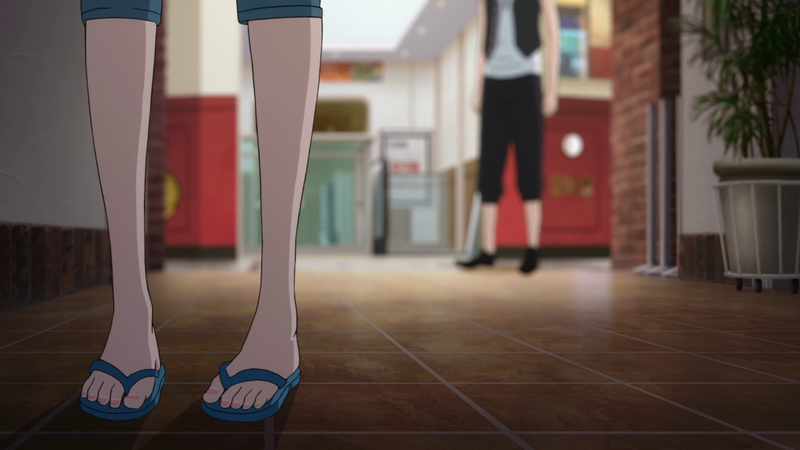 Showing Akira’s feet is already a constant reminder of her injury, since her scar is prominently displayed on her right foot. 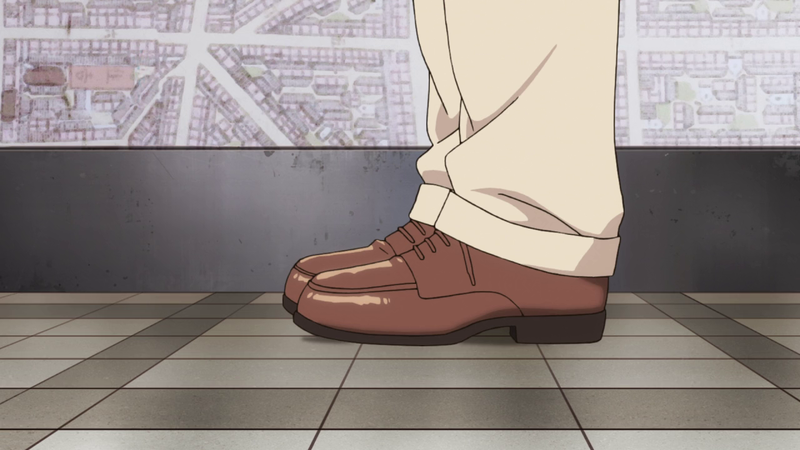 Whether Akira is walking towards Kondo or away from Kase, there are always lines separating the two. 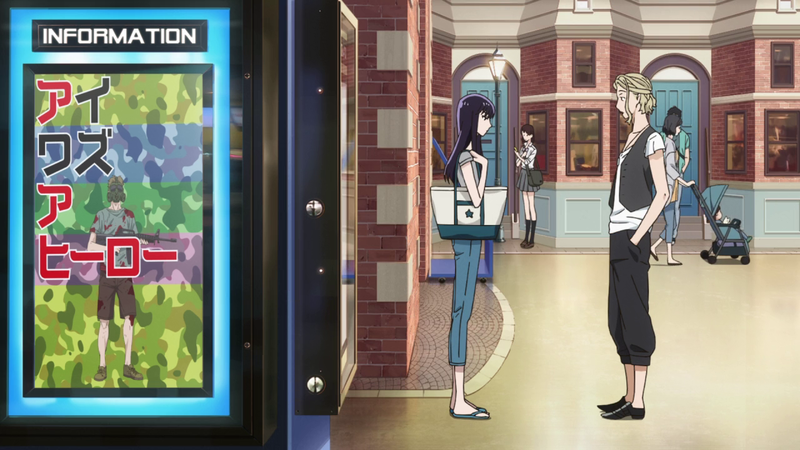 At the end of their awkward date, Akira sees off Kondo at the train station. 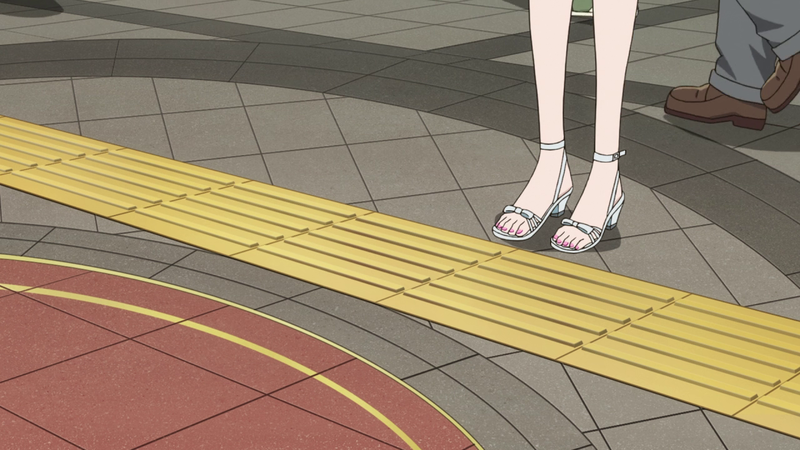 This is the one time that she is shown to cross a physical barrier — the yellow line designating the entrance to the train — and it only occurs in a daydream, which is important given Akira’s straightforward personality when it comes to everything else. 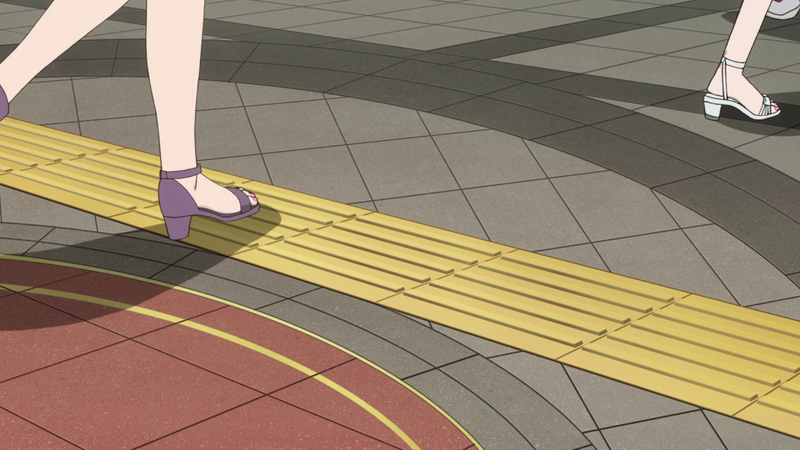 In actuality, she stays behind the yellow line before turning to walk away. A person exiting the train immediately steps over that line with ease. There’s also the whole Rashomon angle, too, right? Pingback: Reflections in the Puddle: Age-Gap Romances, Regret, and Loneliness in After the Rain. | Isn't It Electrifying?